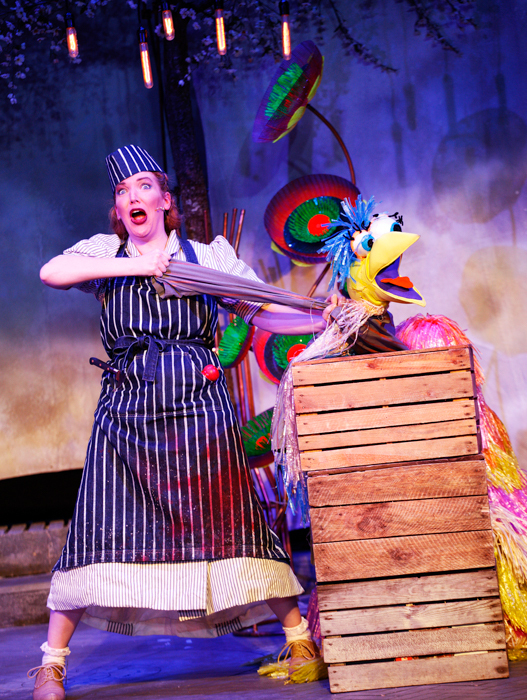 The Hunting of the Snark: Theatre Review - Adventure, baby! Come on a voyage of the ridiculous in the weird and wonderful world of Lewis Carroll. Will our fearless adventurers find the mythical snark on their voyage? Or will they find something else more important instead? 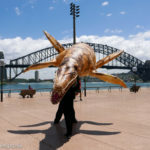 From July 7 – 22 at the Sydney Opera House, the entire family can enjoy searching for the legendary snark in this hilarious quest adapted from Lewis Carroll’s The Hunting of the Snark. 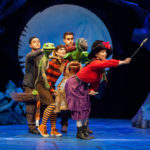 Life-like puppets, fantastical creatures, lively songs and a knitting beaver sidekick will enchant the young and young at heart in this modern adaptation that blends a classic tale with current and local references. 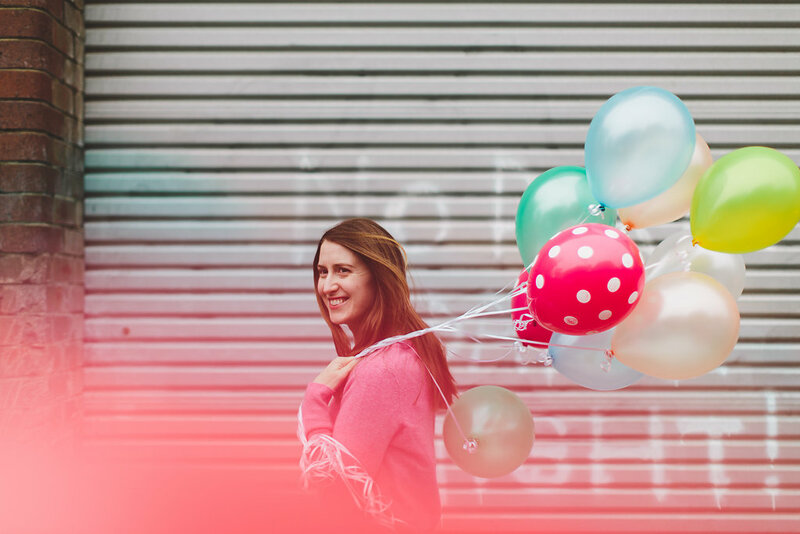 We couldn’t help but be swept up on this silly but heartfelt journey. Join Boy, the Banker, the Butcher, the Baker, the Bellman and the Beaver as they sail across the ocean to Snark Island in search of the mythical creature. Can the snark be caught? And should it be caught? 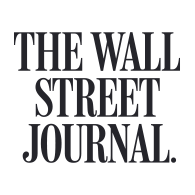 Are there more important things than the money to be made from such a capture? 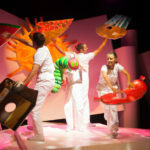 This fast-paced show will please little ones and their adults alike with its humour, catchy songs and colourful puppets. 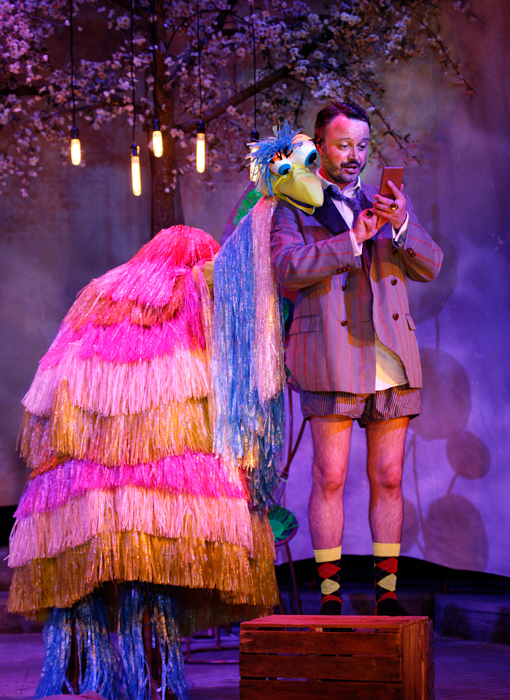 Cheese, who is almost 7, and I saw the show and both really enjoyed it. As we left the theatre she turned to me unprompted and said, “I loved it!”. You can’t get a better review than that. Before and after the show, kids will enjoy the free, immersive Creative Play that has returned to the Western Foyers with Reach Out Sounds. This interactive installation encourages kids to make music through connections. Complete a circuit with your little one to create fun noises on the sound pods. 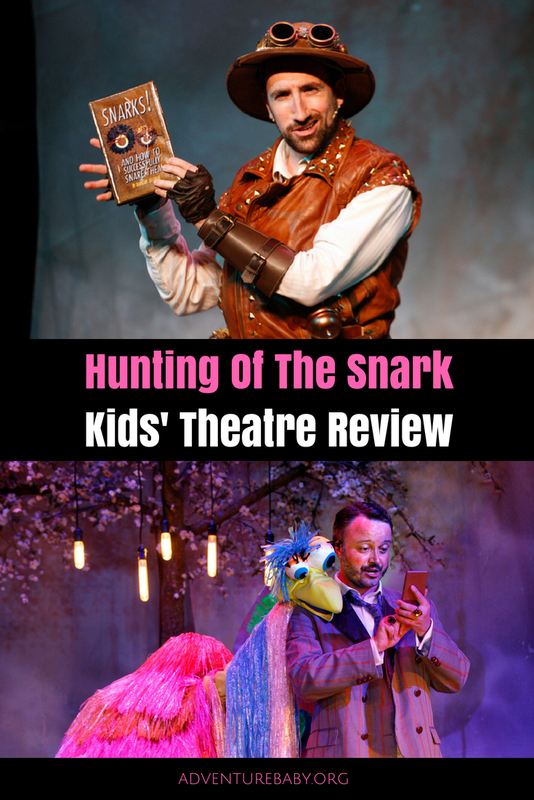 Get more info and tickets for The Hunting Of The Snark here. 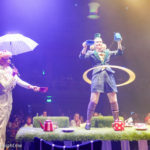 Presented by Sydney Opera House, RG Media and Alice House Theatre. 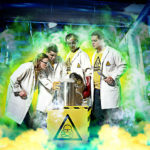 Kids’ Theatre Review: Operation Ouch!